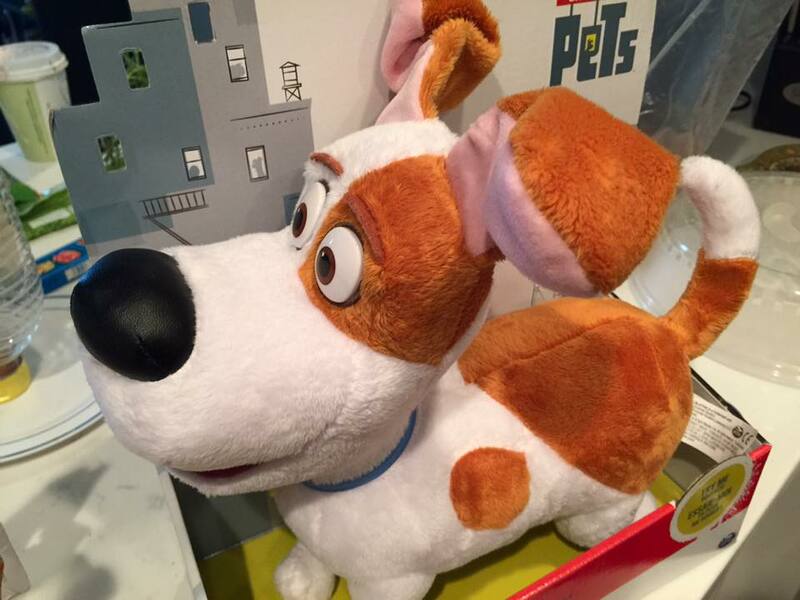 A day out in the park, with Louis CK, Kevin Hart, Eric Stonestreet and the wonderful team of "THE SECRET LIFE OF PETS"
Have you ever wondered what do pets do when you (or the owner, if it's not you) do when you leave. What do they do, when you leave them at home alone, all day, or even days. Well, the writer trio of Brian Lynch, Cinco Paul and Ken Dario wondered about it, and created a story to tell you what it could be. And to be honest, it's sweet, cute, funny and also meaningful in many ways. Directors Chris Renaud and Yarrow Cheney make it a visually stunning, emotionally moving and fun family joy ride. This wonderful film is the animation movie voice debut of many wonderful actors. You may not expect, but Louis CK is a cute dog, MAX, a Jack Russell Terrier. And he's wonderful. He makes this dog very real. Max is obnoxious, sarcastic, honest-ish and funny, kinda like Louis himself. Max has a great privileged life of a NYC dog, with his owner Katie. He has wonderful friends like Chloe, a sarcastic pet cat (voiced by hilarious Lake Bell), Mel, a over energetic crazy pug (voiced by super funny Bobby Moynihan) and many others. But when Max gets a "new friend" Duke, mongrel, (voiced by the super talented Eric Stonestreet, in his surprisingly amazing voice debut) his world turns upside down. He doesn't like it, and that leads Max and Duke's "day out" and adventure in NYC. They meet the "flushed pets" and their leader Snowball. Snowball is voiced by Kevin Hart who makes the funniest, craziest badass bunny on screen. Seriously! The fast talking, fast thinking, fast acting, super fast bunny, is more energized than the energizer bunny, thanks to Kevin's performance. Snowball leads these guys into sewers and then to an amazing adventure through the city. However Gidget, a pet Pomeranian, who's in love with Max, sets out ofr his search through city, with help of other pets & new friends. The day just keeps getting better and more fun. There's humor, there's action, there's emotion and there's lot of fun. But until then, enjoy this video of Louis CK and kevin Hart talking about Father's Day, being a father, and working in a fun Family Film for first time!